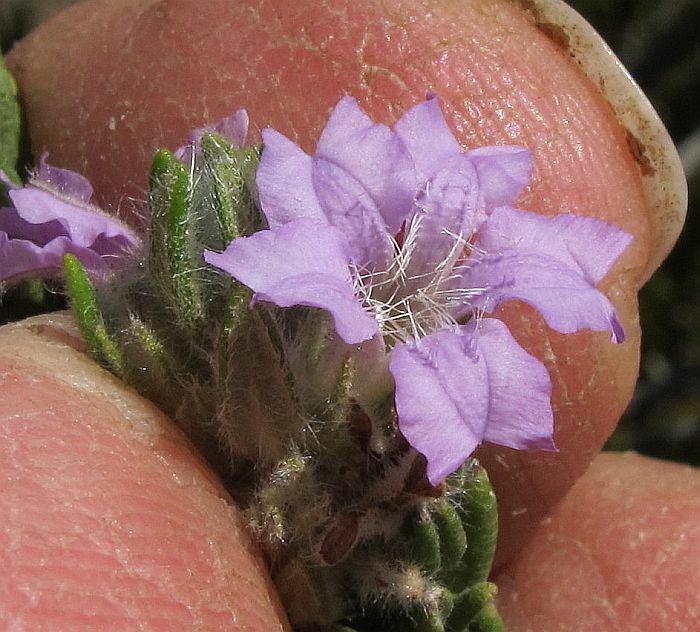 Coopernookia is a small genus of less than ten species in the large and diverse Goodeniaceae family containing over 400 that are held in 12 genera, all of which occur in Western Australia. 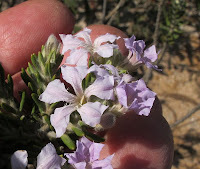 There are three Coopernookia spp. 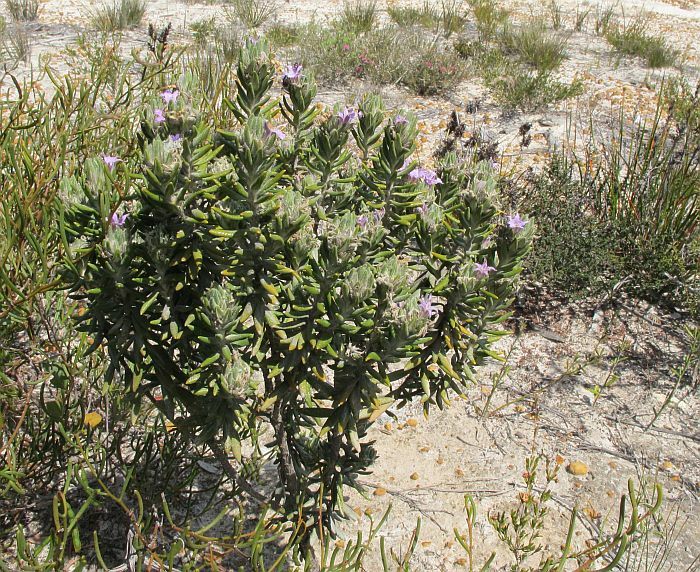 in WA and two of these are common in the Esperance district, but being noticeably different from each other are unlikely to be confused. 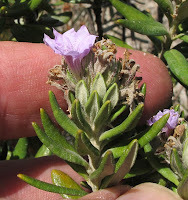 Coopernookia polygalacea is distinguished by having revolute leaf margins (recurved), with a dense covering of branched (stellate) hairs below. 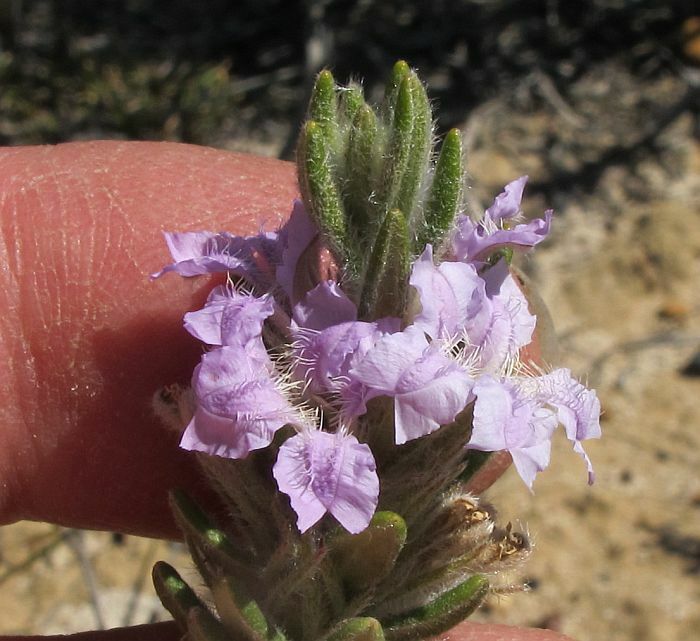 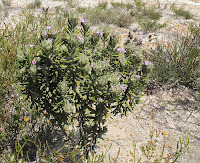 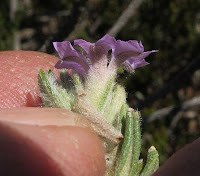 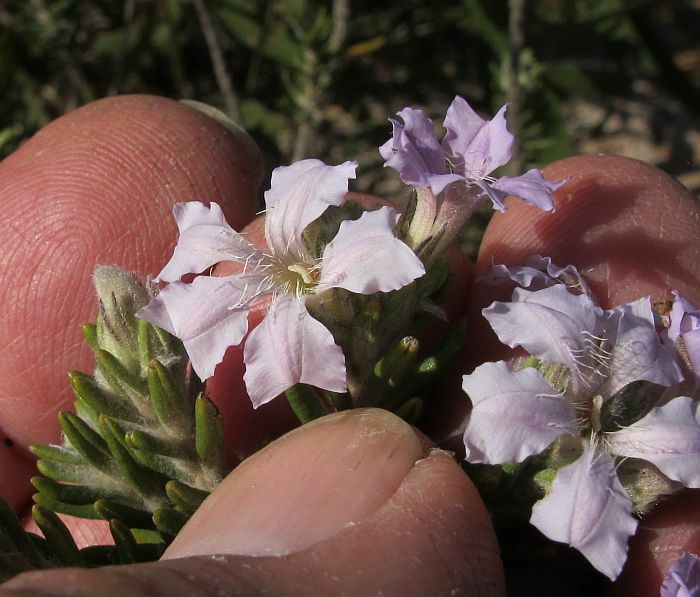 Apart from an odd record of this species near Cape Arid (east of Esperance), it mainly occurs to the north and west of the town and extends to the Albany region, favouring sandy soils overlying gravel. 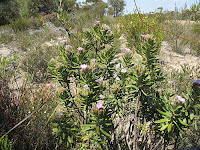 This habitat is also favoured by the farming community, which has probably compromised Coopernookia polygalacea numbers, although it survives on roadsides and gravel pockets in uncleared mallee. 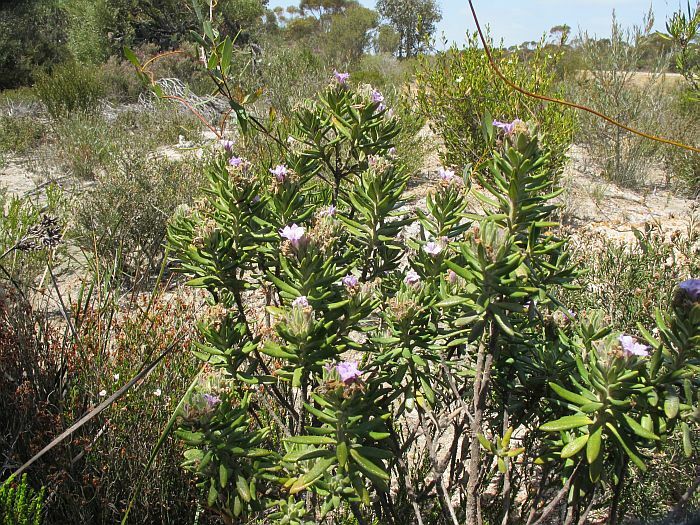 Mostly found in scattered compact colonies after bushfires, where it can survive for several years until the regrowth of larger plants will again dominate the habitat and command available moisture. 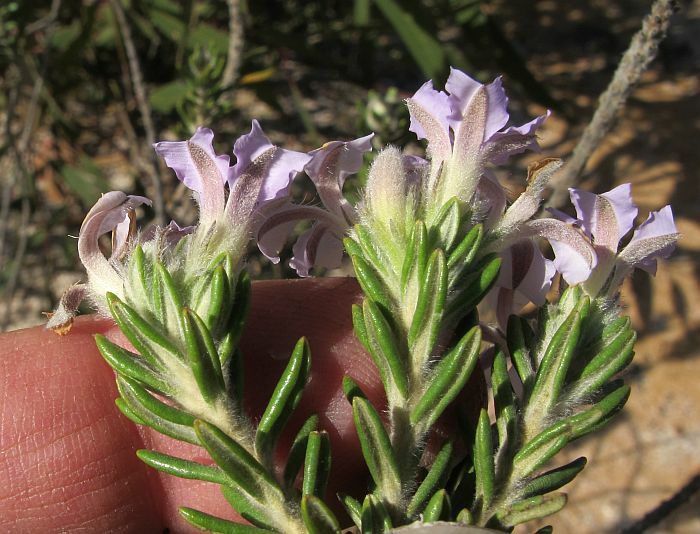 Plants grow to a little over ½ metre (2’) in height and initially are reasonably bushy, but if conditions dry for long periods, the lower leaves drop, leaving only those (plus the flowers) at the end of branches. Once this happens and dry conditions continue, the plant invariably dies within a year or two, although with regular watering to extended its life, it would probably make a good garden specimen. 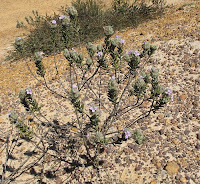 The flowers vary from lilac to purple and if the plant were domesticated, would likely be produced over a long period. In natural conditions flowering is recorded from August to November (depending on local rainfall), but September/October would locally be the usual time.